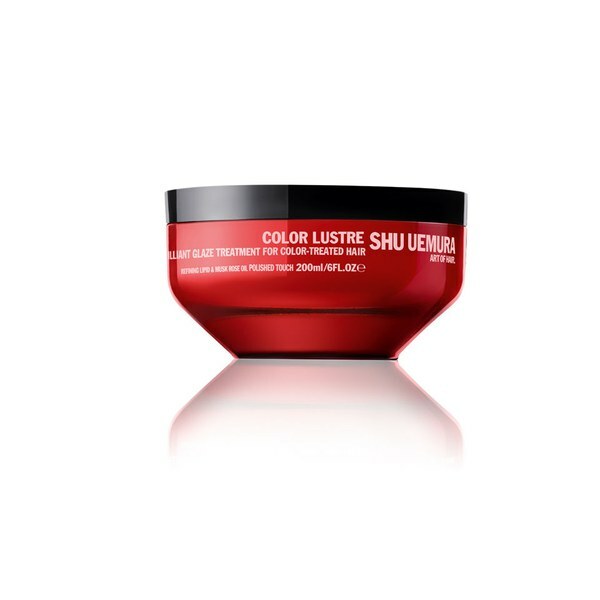 Protect the vibrancy of your colour treated hair with Shu Uemura's Art of Hair Color Lustre Set; a colour protecting shampoo and weightless hair masque to leave your hair nourished, revitalised and beautifully shiny. - K.N. 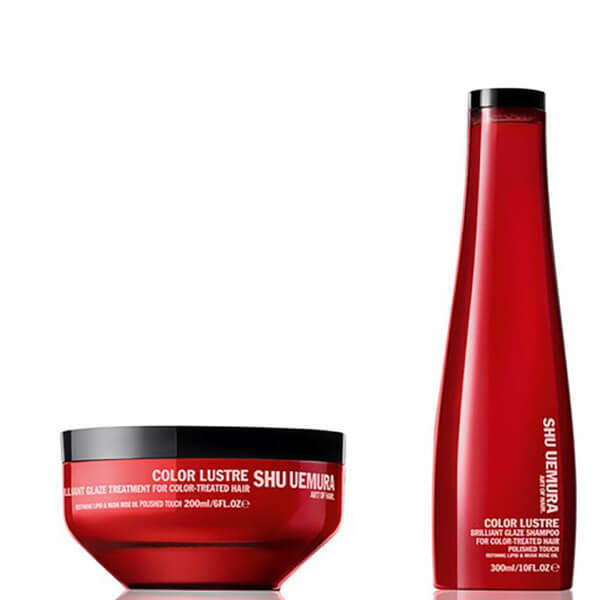 Suitable for natural to colour treated hair. A sulphate free, colour protecting shampoo that lathers into a luxurious, thick foam to nourish the hair whilst protecting colour integrity. Balancing the scalp, the formula is infused with fatty acid-rich musk rose oil, vitamin A and goji berry extract to protect from oxidation and colour fading. Nourishes with every wash.
A colour preserving mask that restores the hair’s protective layer to deeply care for the hair fibre. 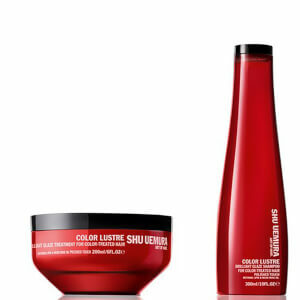 It gives your hair a weightless, glazed finish and prevents your colour from vanishing. Giving polished shine, its formula is infused with fatty acid-rich musk rose oil, vitamin A and goji berry extract to protect from oxidation and colour fading. 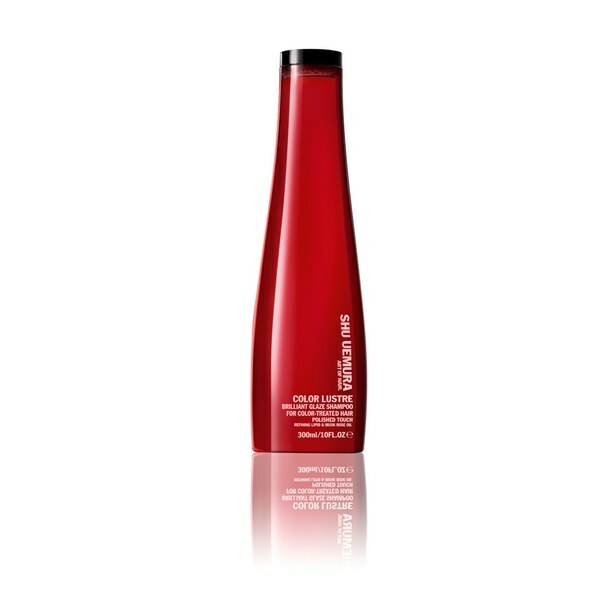 Designed for weekly use on finer hair or daily use in place of a conditioner on thicker hair.